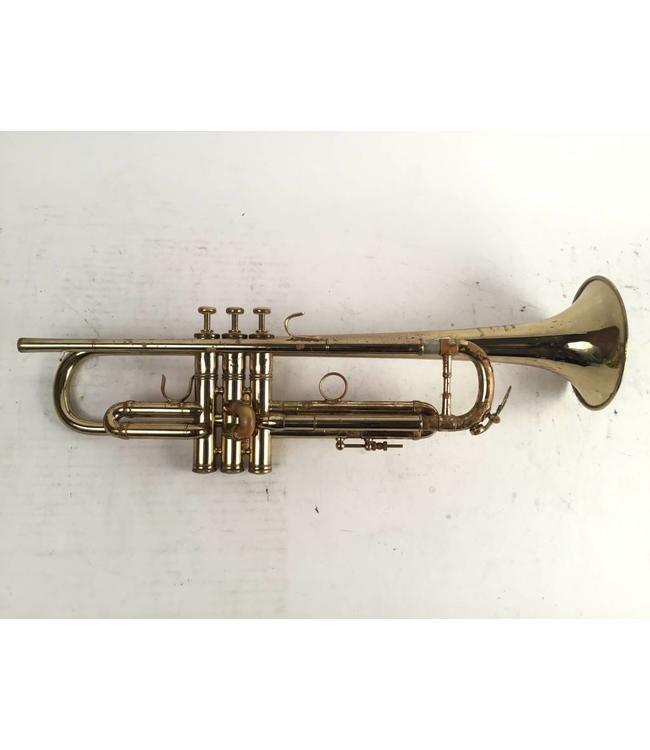 Used Burbank Benge 3X, ML bore, Bb trumpet in lacquer/raw brass. This instrument is in fair to good overall condition with heavy lacquer wear, evidence of red rot in leadpipe, and dings/dents throughout. Includes case.